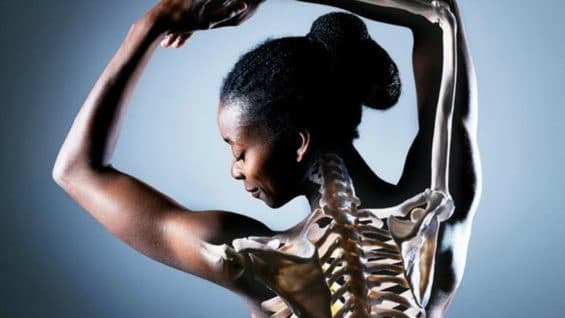 If you’re not used to it, drinking enough water to meet your daily needs can be a struggle. 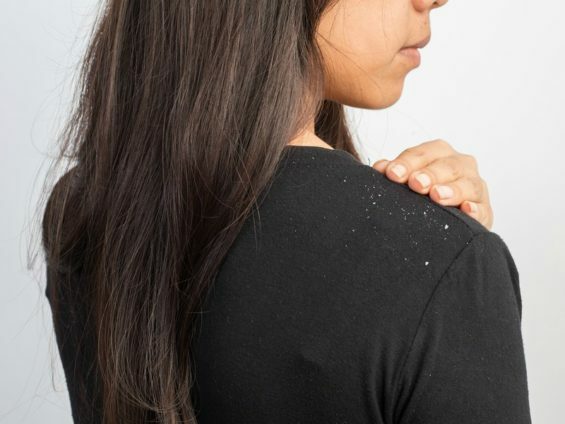 And if your tastebuds are used to soda and juice, it can be even harder. 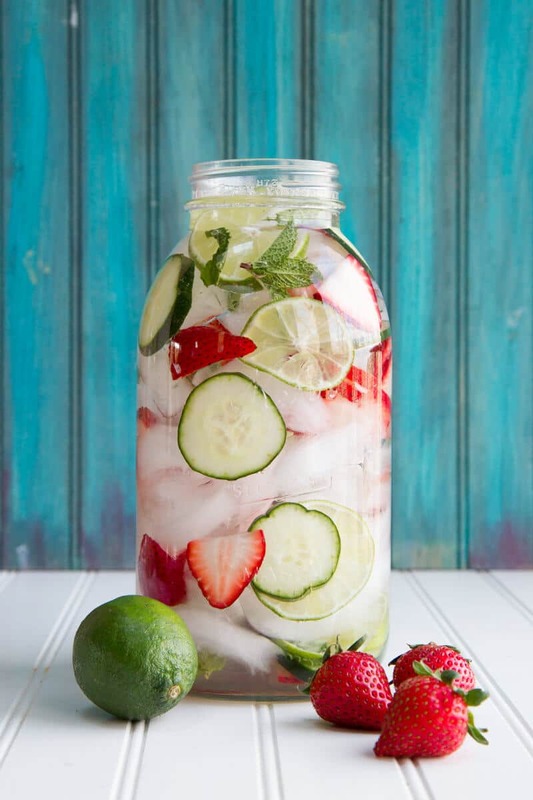 Meet your new best friend: infused water. 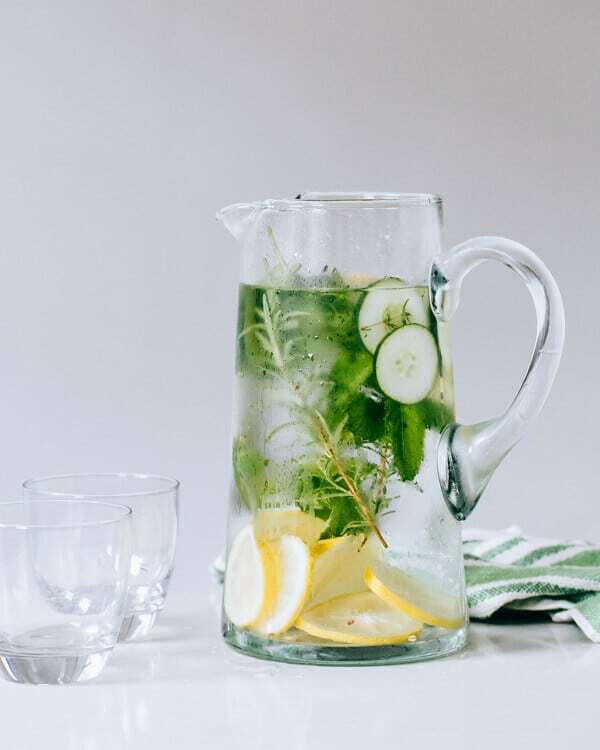 Infusing your water isn’t just an easy way to add flavor and pizzazz, it’s also a great way to take advantage of the main benefits of drinking more water – namely staying hydrated, flushing out your system, and cutting cravings. 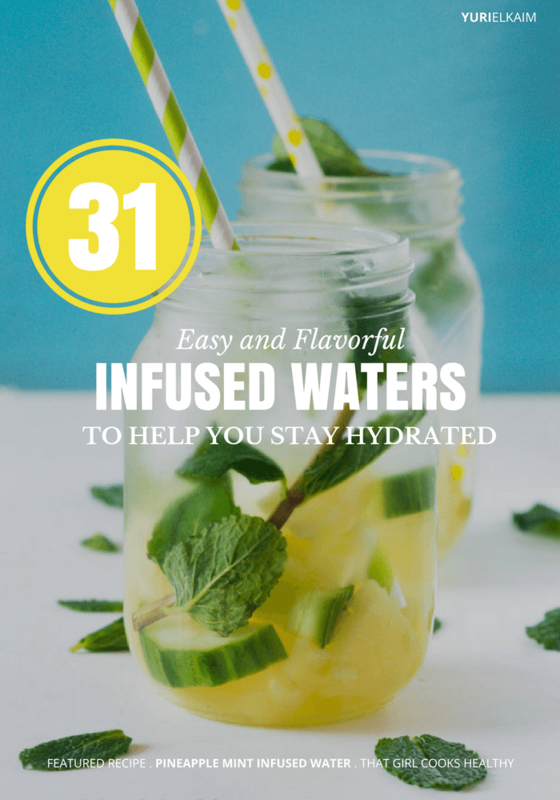 Not only that, but infused water requires only a few ingredients. For most recipes, just add your choice of fruits, vegetables, and herbs to a glass of water and let the flavors infuse. Plus, if you serve these recipes to guests, they’ll be wowed. 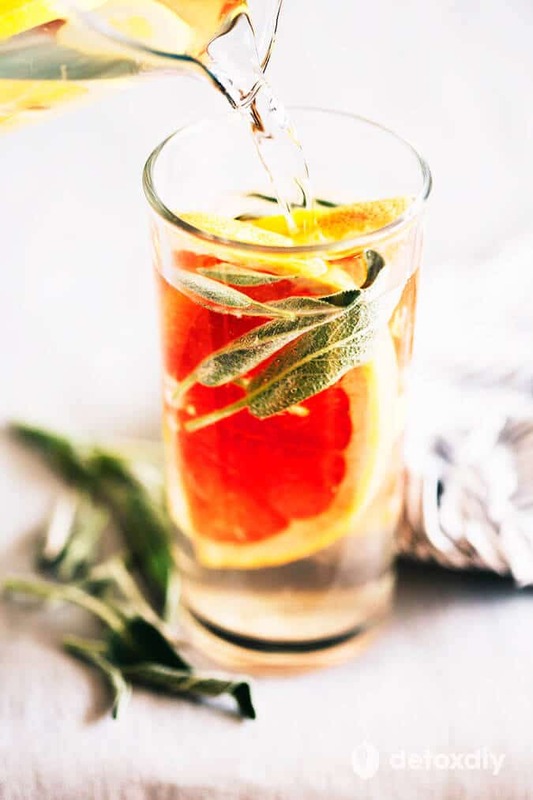 Expert tip: it helps to slice your infusion ingredients small in order to get the maximum amount of flavor in your water. 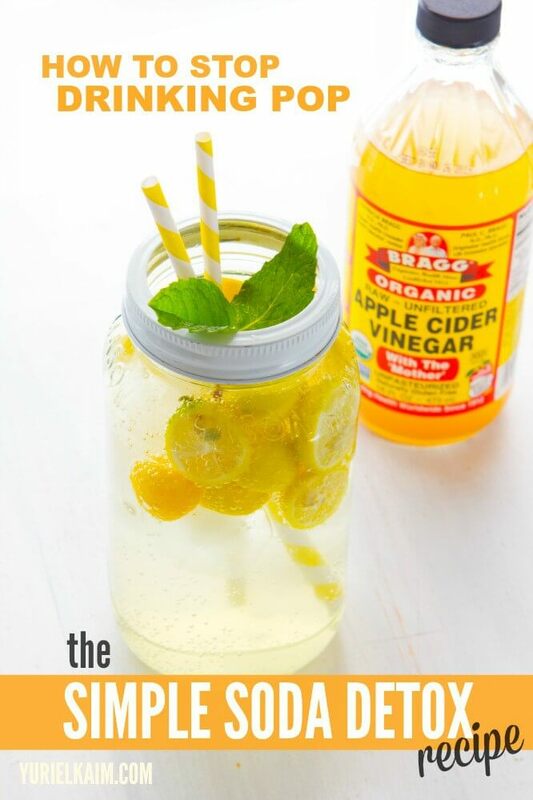 You can also use a fork or a muddler to help release the juice of the fruits or veggies you’re infusing. 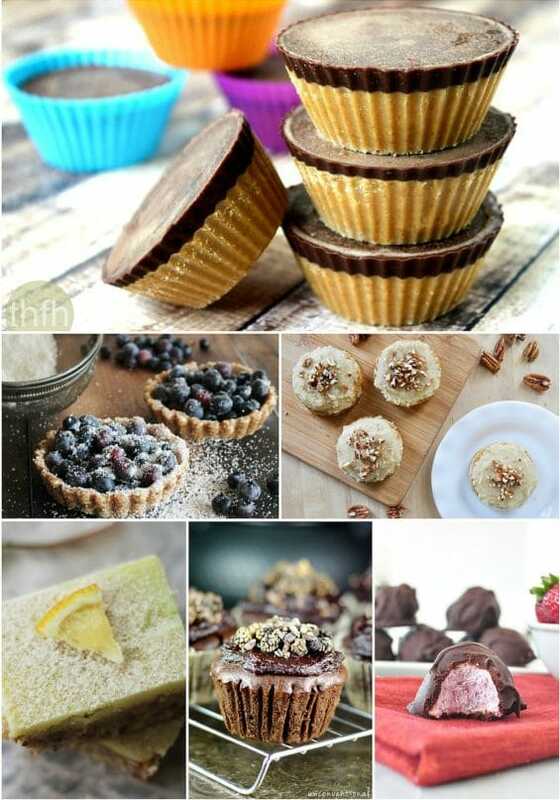 I’ve gathered a mix of 31 of the tastiest recipes, and there’s sure to be at least one of them you’ll love. Now all you have to do is start infusing and drink up! 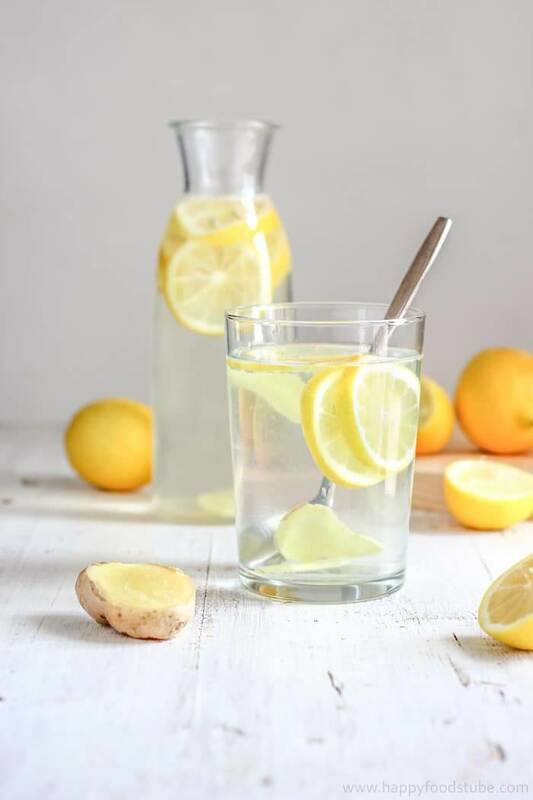 Featuring alkalizing lemon and inflammation-busting ginger, this cleansing water delivers a refreshing zing of flavor. Drink this infused water either cold or lukewarm depending on what you prefer. 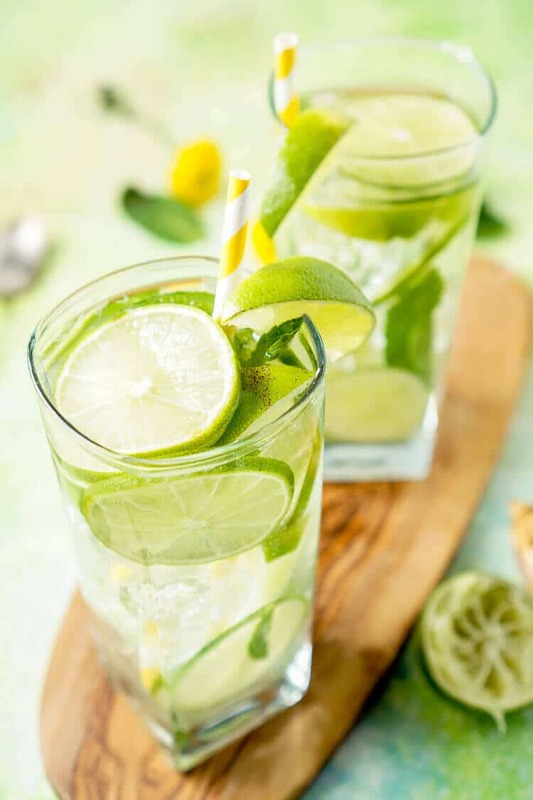 The ingredients in this infused water recipe pack a powerful punch when it comes to nutrition. Cinnamon regulates blood sugar, pears offer disease-fighting antioxidants, and ginger relieves inflammation and promotes better health. 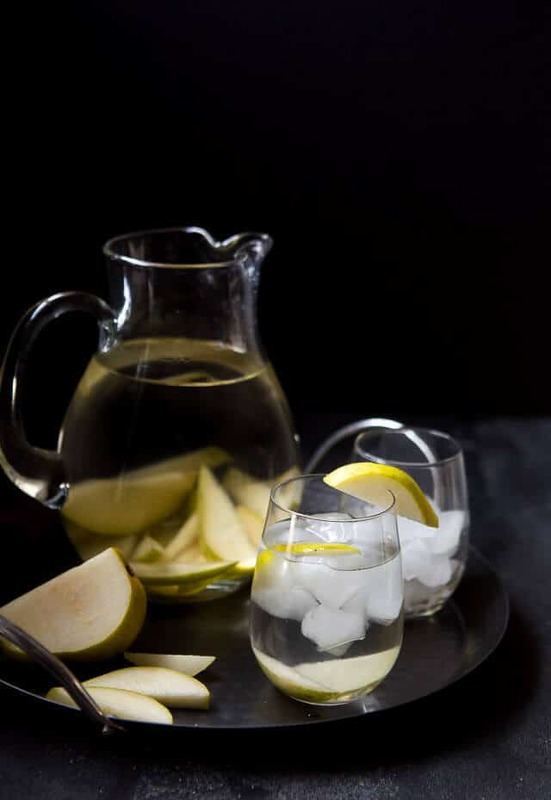 These four ingredients were made for one another, making this an invigorating and flavorful infused water you have to try. On top of that, strawberry, cucumber, and lime give you a burst of vitamin C while fresh mint leaves will soothe your stomach and support better digestion. 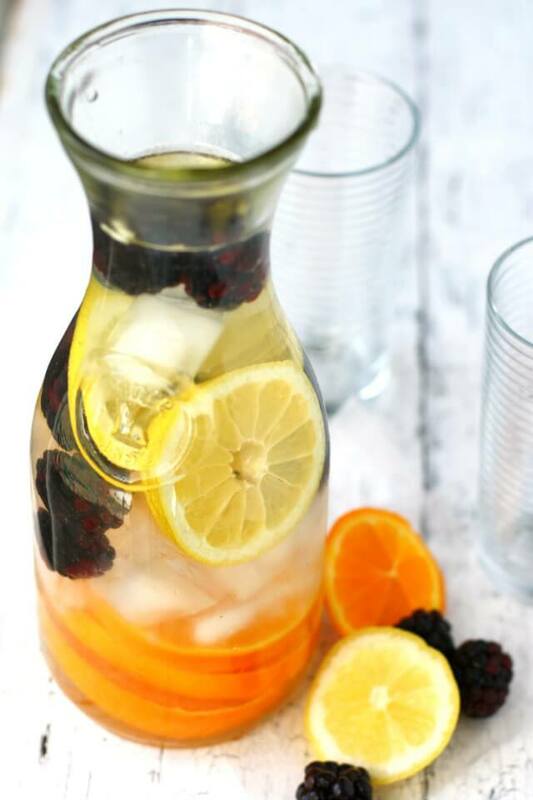 Striking the perfect balance between presentation and flavor, this infused water looks good and it’s even better when it comes to your health. A handful of strawberries and a sliced lemon provide plenty of antioxidants and pesticide-free rose petals add a beautiful finishing touch. Colorful, vibrant, and tasty, with this recipe you’ll have no trouble staying hydrated throughout the day. 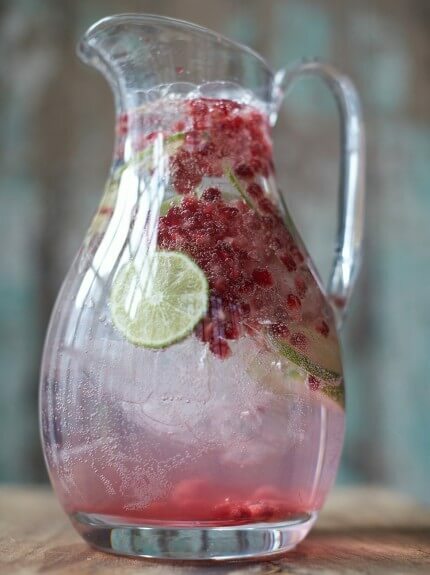 Not only that, but if you drink just a few glasses of this water, the combination of mangoes and strawberries can help you meet your daily needs for folate plus vitamins A and C.
The tart flavor of blackberries paired with the zesty punch of lemon makes this a refreshing drink to sip on year-round. This simple recipe comes together almost instantly, requiring just three ingredients and very minimal prep time. If you could bottle up all the flavors of autumn, it would taste like this drink. 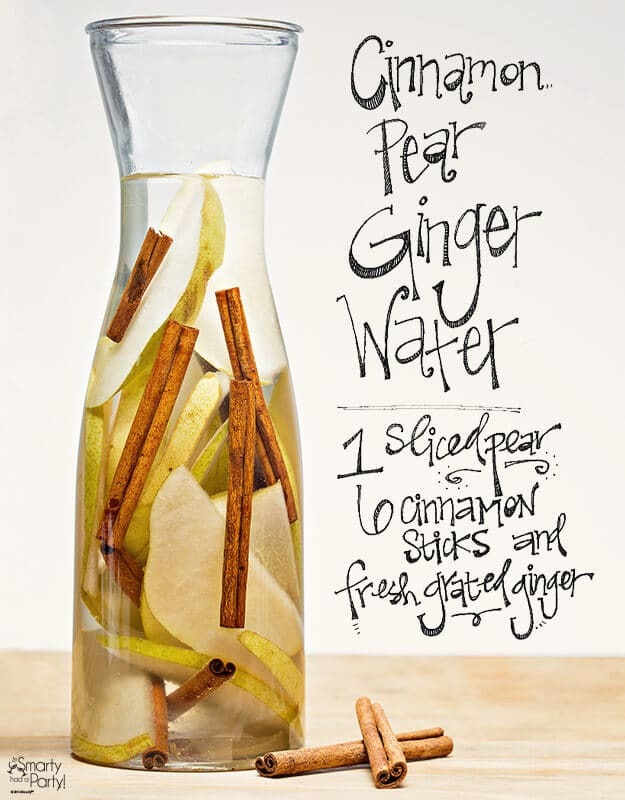 Apples, plums, pears, and cinnamon sticks mingle to create a tasty drink that you can enjoy anytime. 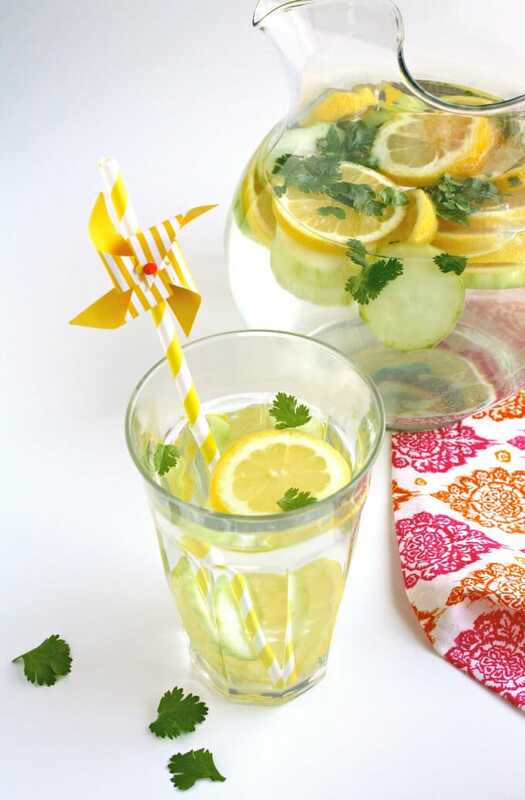 Fresh lemon, cucumber, and cilantro supply an energizing surge of flavor to this infused drink. Bonus: lemon and cilantro detoxify your system while cucumber acts as a natural diuretic. 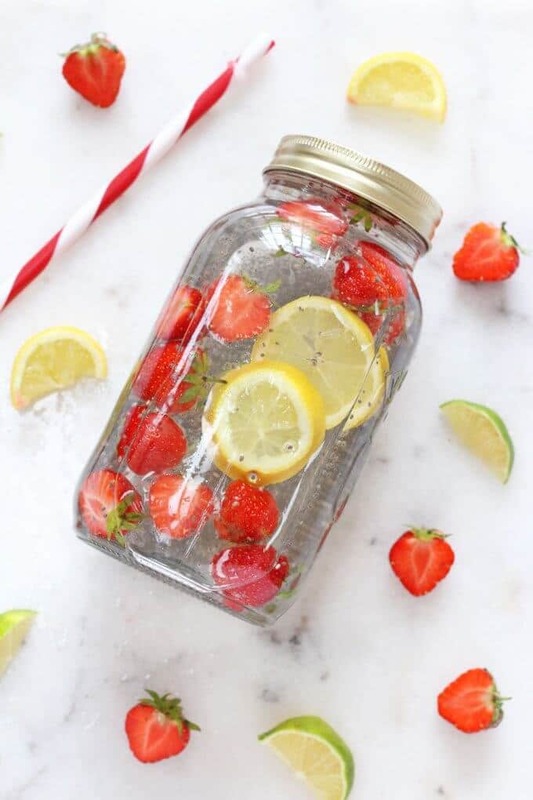 Looking for an infused water recipe that’s just as satisfying to the eye as it is to the tastebuds? This recipe is just the fit. It features a blood orange, clementine, lemon, and lime, creating a beautiful blend of both color and nutrients. The secret ingredient in this recipe is pomegranate arils, which give the antioxidant profile of this recipe a major upgrade. Throw in some vitamin C-rich strawberries and you have a super healthy (and super yummy) drink to enjoy. 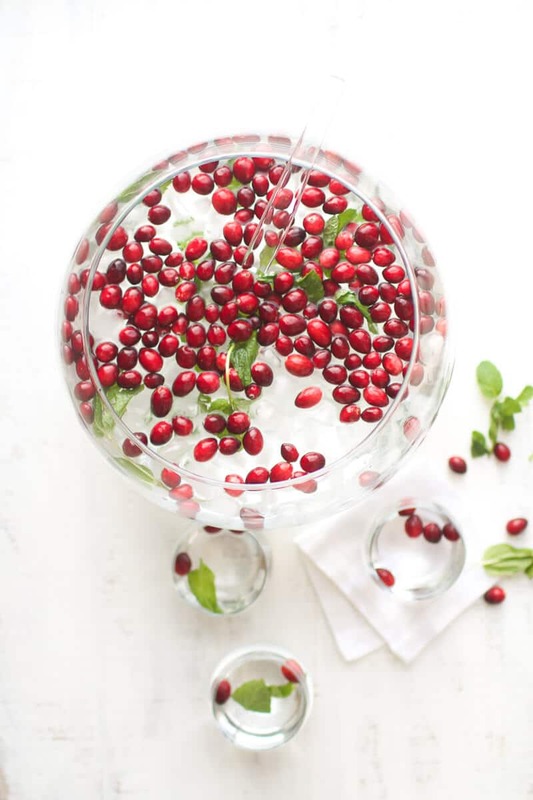 Cranberries take center stage in this infused water recipe, bringing more antioxidants ounce-for-ounce than pretty much any other fruit or vegetable out there. Pair it up with some stomach-soothing mint for a disease-fighting drink. 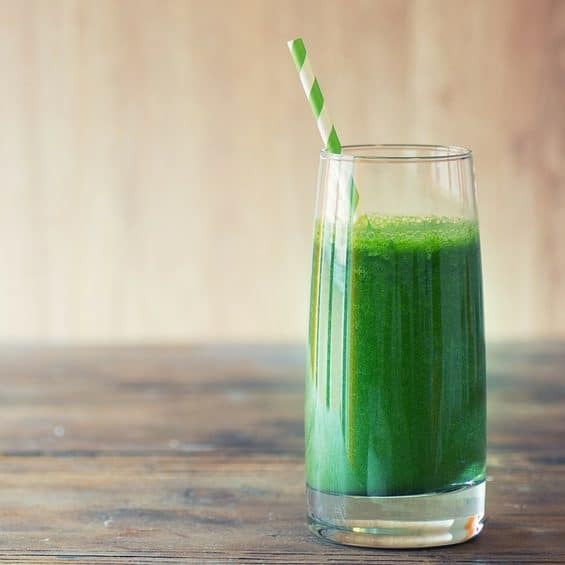 This bright green drink is the perfect solution to staying hydrated during a heat wave – it’s light and refreshing. 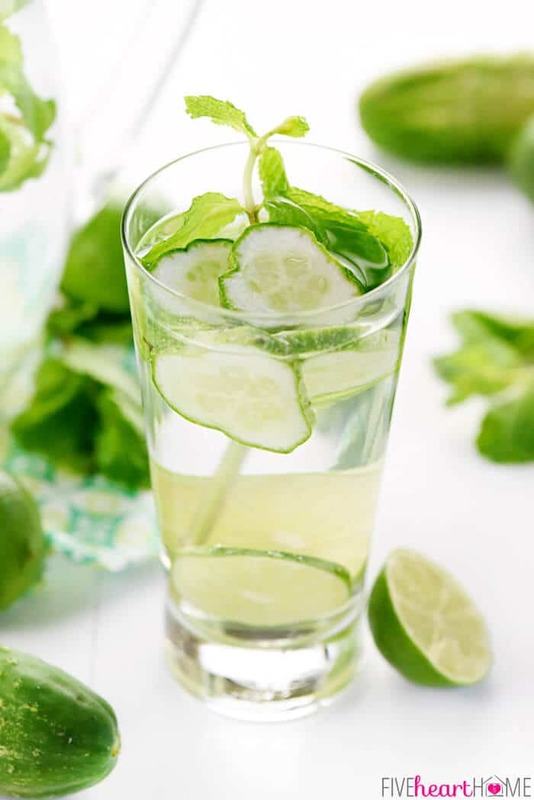 With cucumber and mint adding just the right touch of flavor, it’s a simple way to freshen up your water and stay cool. Blackberry and citrus fruit are the perfect couple in this recipe. 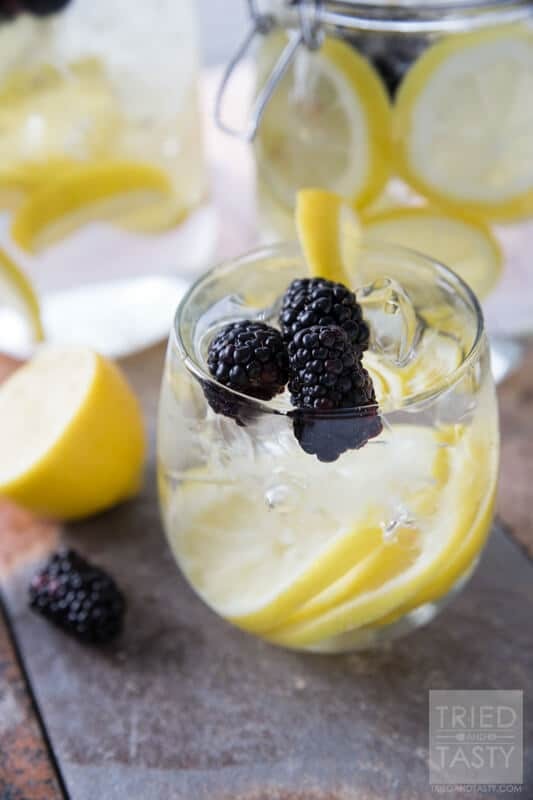 The sour taste of the lemons and oranges is offset by the tartness of the blackberries, making for a flavor with just the right amount of intensity. 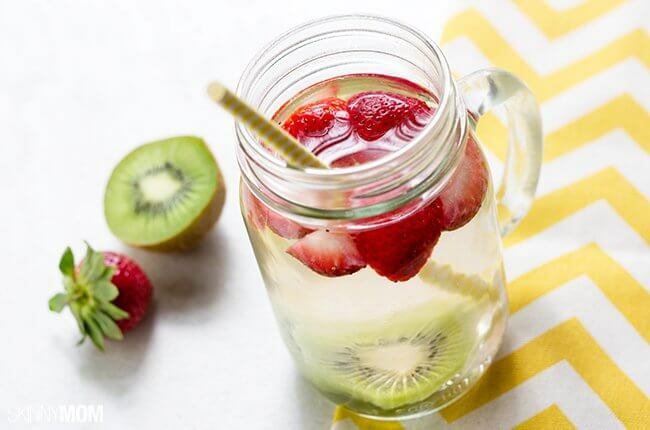 Strawberries and kiwis are a classic combo, and not surprisingly they work great together in this infused water recipe. Not only is this a just-sweet-enough drink, it offers up vitamin C, too. Berries are great for your health, given their flavonoid content and incredible nutrient density. 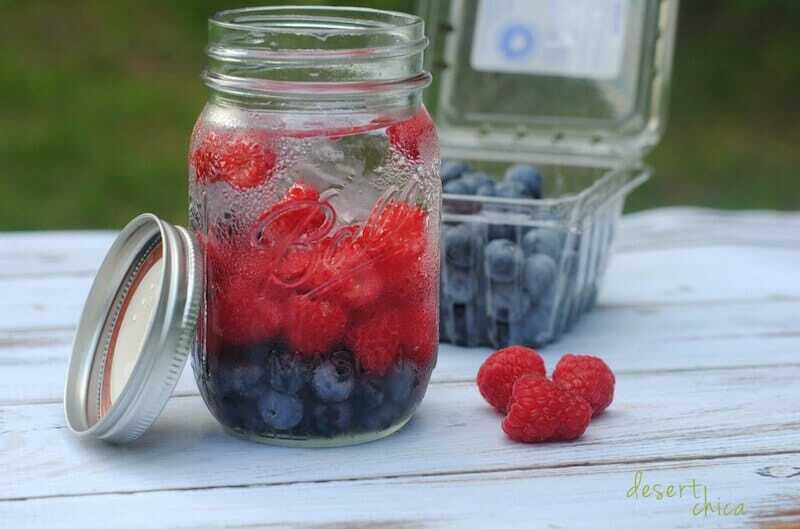 This water gives you twice the benefits by combining both blueberries and raspberries. 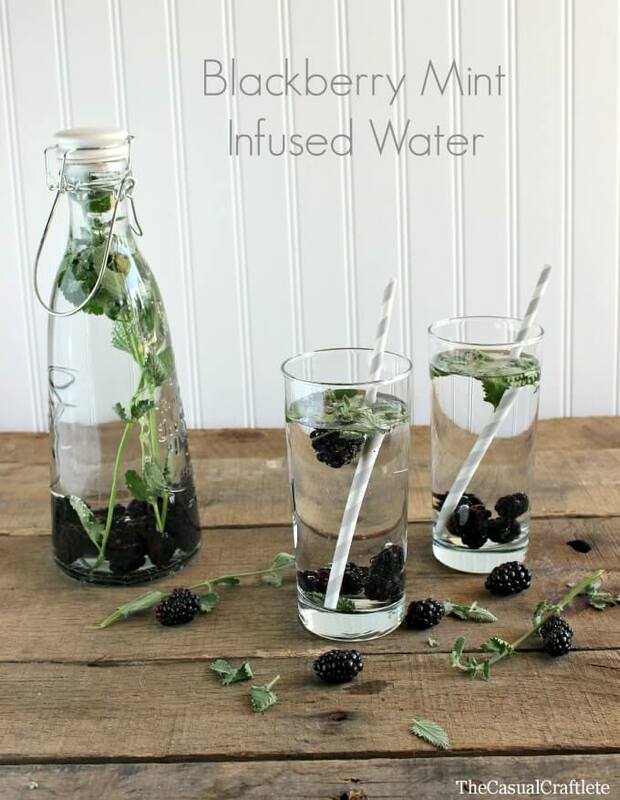 Spruce up your bottle of water by giving this infused water recipe a shot. 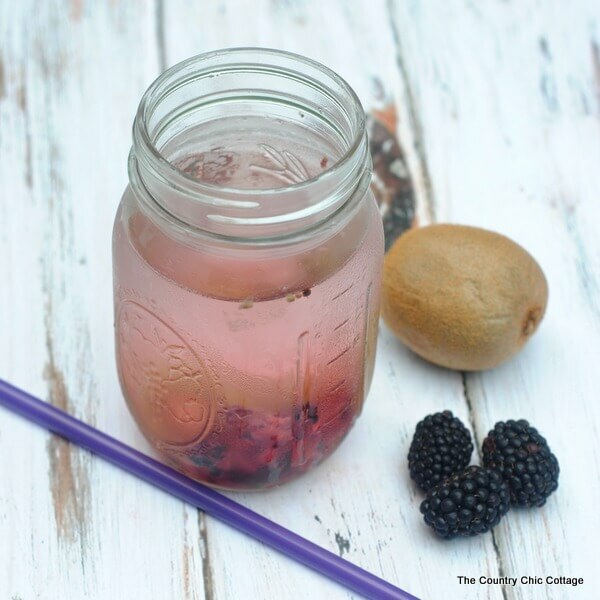 Blackberries and kiwi can instantly sweeten up your water and encourage you to keep drinking throughout the day. 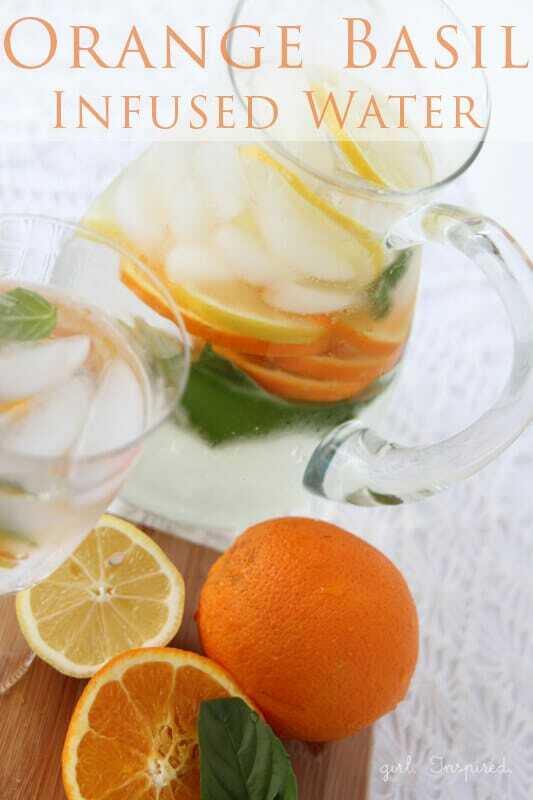 Get your day started off with a zap of citrus by mixing up a batch of this infused water. Lemon, lime, and orange create a one-of-a-kind flavor combination that will help you get your water quotient for the day. Basil brings its earthy aroma to this recipe, which is complemented by the sweet, tangy taste of orange. Not only that but basil brings some impressive health benefits to this recipe, thanks to its antioxidant and anti-inflammatory properties. This tropical drink will make you feel like you’re lounging on a beach. Besides its intense flavor, pineapple also contains bromelain, an enzyme that is known for its potent inflammation-fighting powers. This infused water tastes great, but more importantly it’s great for your health. And because of the addition of pomegranate, this recipe comes with cholesterol-lowering and cancer-busting benefits. The mild, slightly sweet taste of pears is (pardon the pun) paired with warm vanilla in this recipe. Add a vanilla bean or just a splash of pure vanilla extract to infuse a bit of fragrant vanilla into your glass. 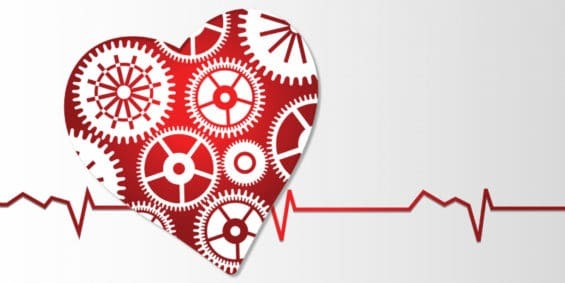 Between promoting alkalinity and curing colds, the benefits of apple cider vinegar are astounding. 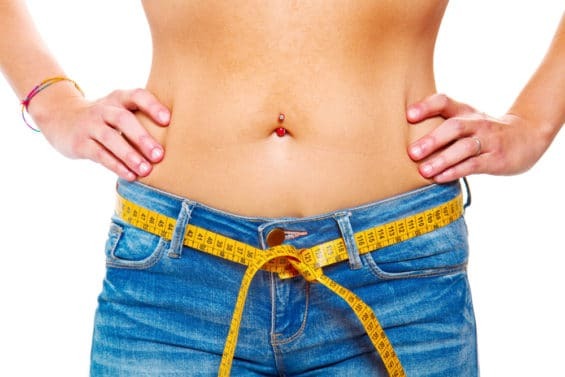 This drink delivers the same “bite” of satisfaction you can get from a can of soda, but without the added calories and sugar. 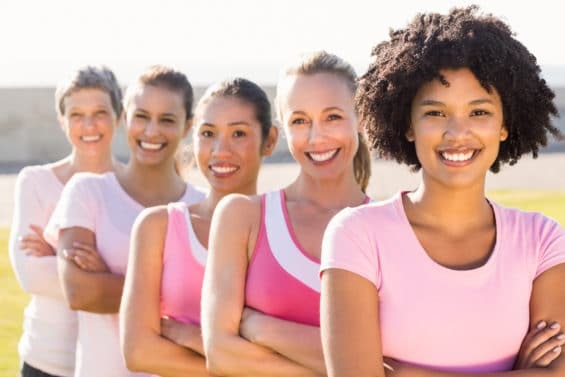 Sage is what really sets this recipe apart, given its long history as a medicinal herb used for everything from boosting cognition to easing inflammation. The combination of sage’s distinct peppery taste with the tartness of blackberries makes this a unique addition to your recipe book. 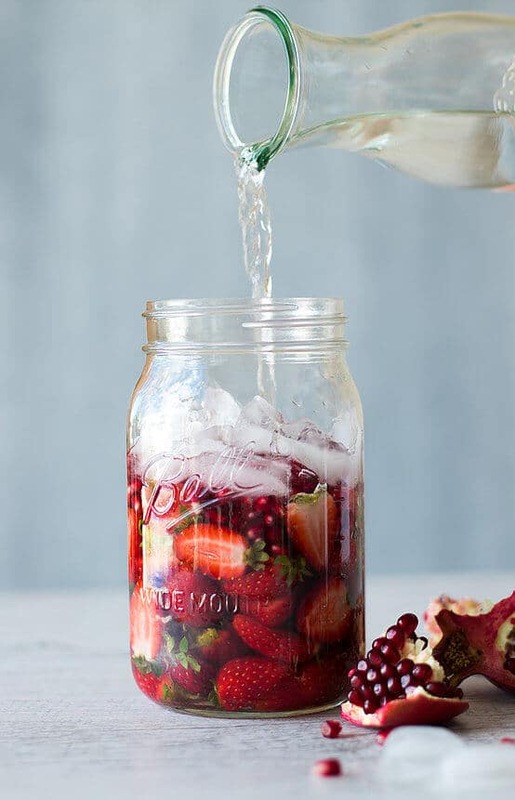 For the infused water connoisseur, this recipe is a must-try. 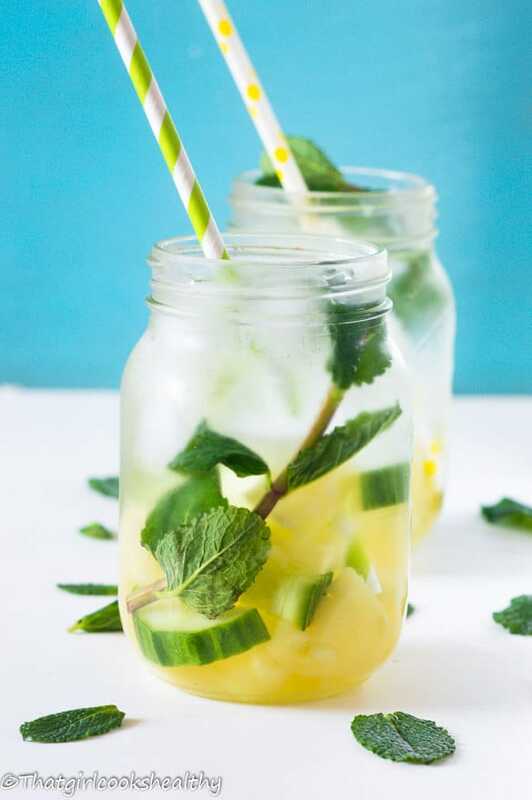 It combines the mild yet cooling flavor of cucumber with lemon, rosemary, thyme, and mint for a refreshing drink that tastes amazing. 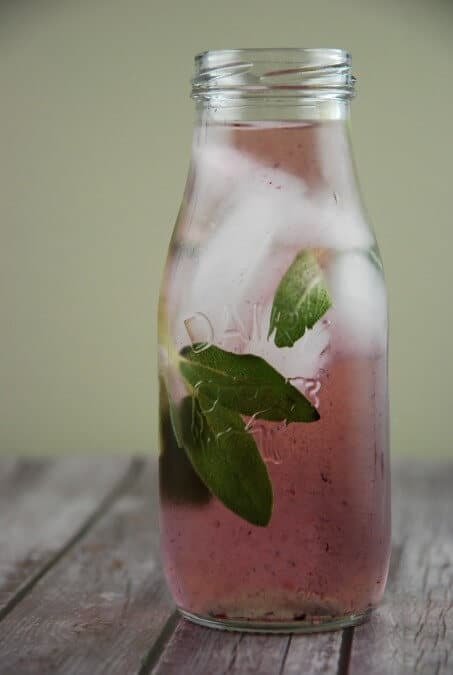 High in omega-3 fatty acids, fiber, and protein, chia seeds make a surprisingly awesome addition to your infused water. 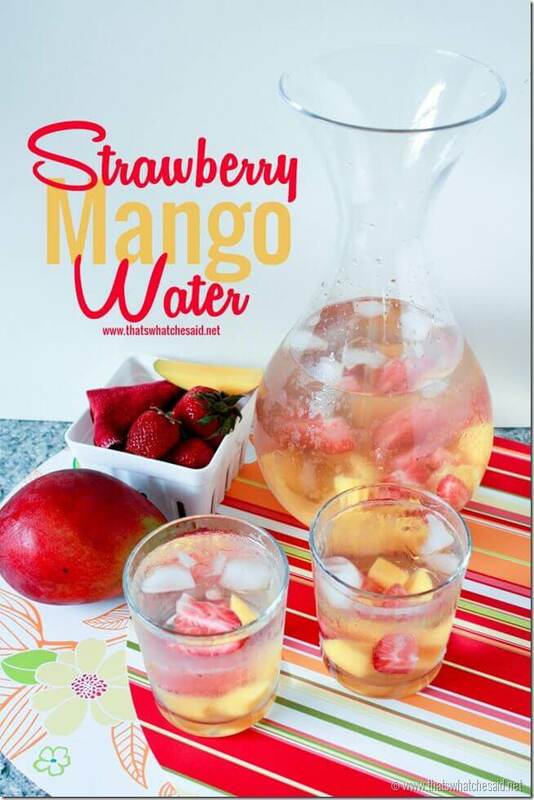 Sprinkle in a tablespoon with your fruit of choice and give your water a nutritious twist. 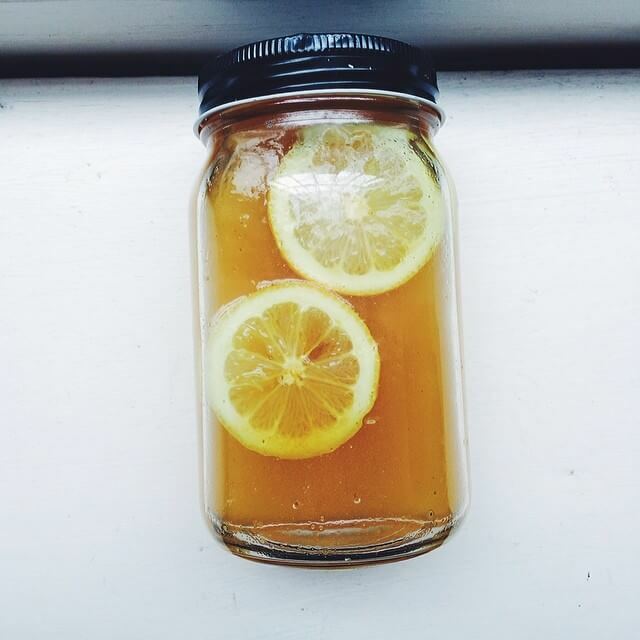 If you’re looking for a simple and yummy infusion, definitely give this recipe a try. The sourness of the lemon combined with a sprig of mint creates a cool, fresh, and tasty drink. 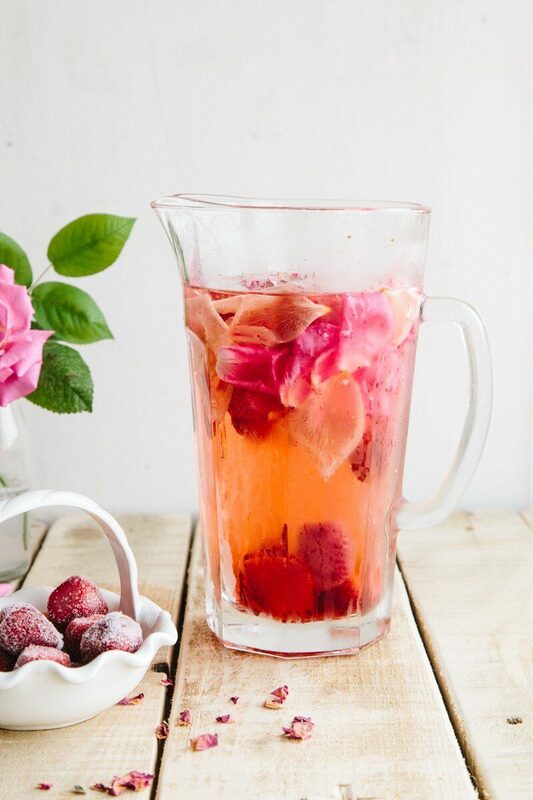 Reminiscent of summer days spent sipping cocktails, this infused water is a fun way to stay hydrated. Cool mint leaves coupled with fresh lime create a mojito flavor. Plus, the simple ingredients make this an easy sample to keep in your fridge. 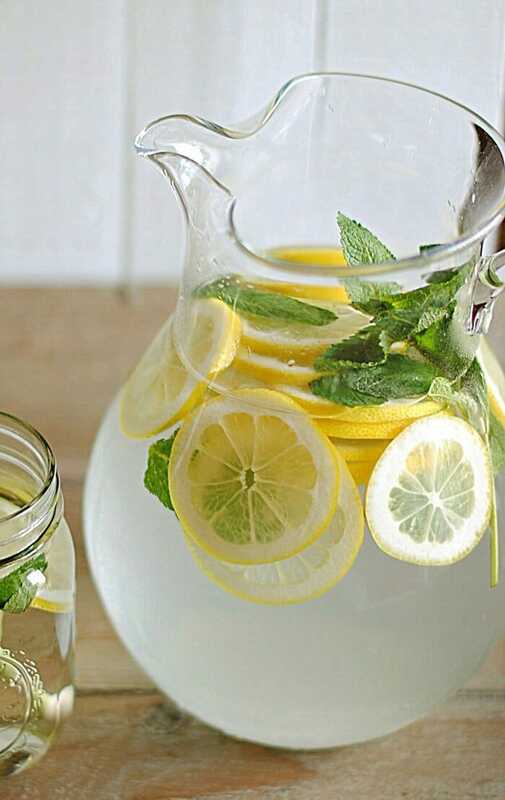 Transform your water with just two ingredients using this infused water recipe. Combine blackberries with mint to create this recipe, which is both refreshing and not too sweet. This infused water recipe features grapefruit, an ingredient that’s packed with nutrients and health benefits. Lycopene, in particular, is found in grapefruit. Besides giving grapefruit its bright color, lycopene is an antioxidant that can help protect against cancer. 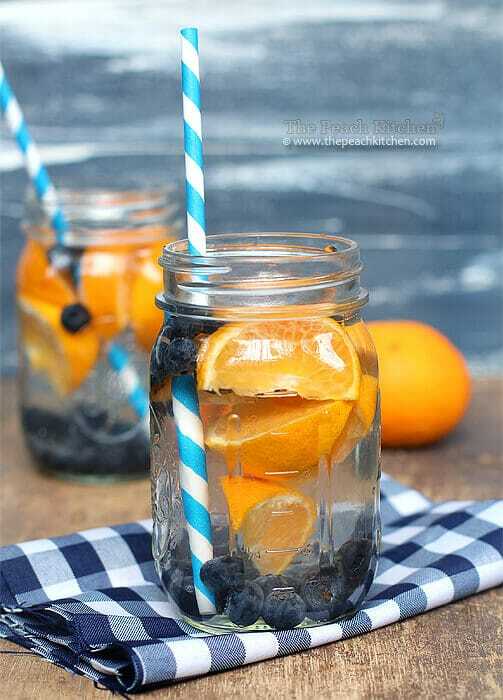 The blend of blueberry and orange provides both an eye-catching contrast and a delicious taste to this drink, which tastes like summertime. 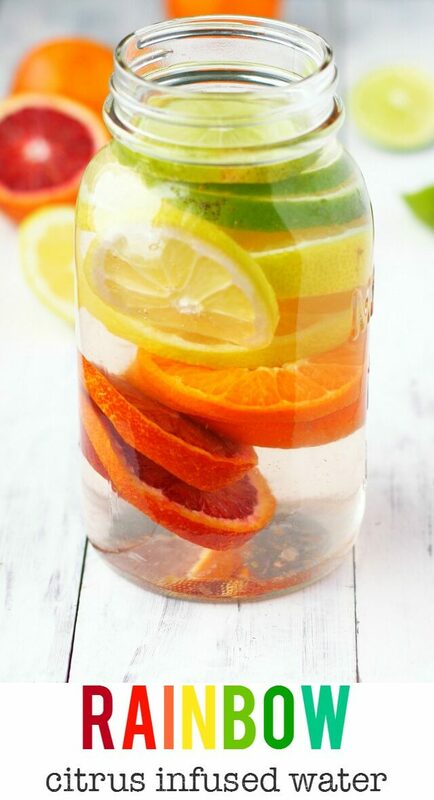 With the unique pairing of sweet and citrus flavors, you’ll want to mix up an extra big batch of this infused water. 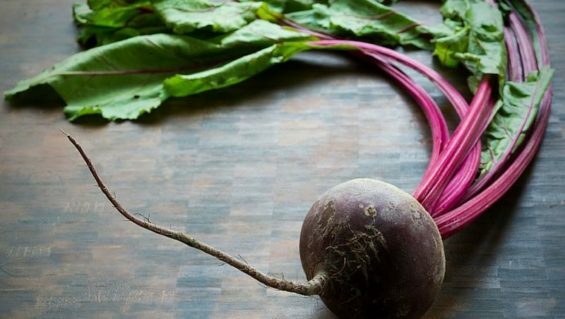 This recipe is an anti-inflammatory elixir that also tastes refreshing and light. It combines turmeric’s powerful inflammation-fighting properties with antioxidant-rich honey and lemon for a high-power way to kick up your health. 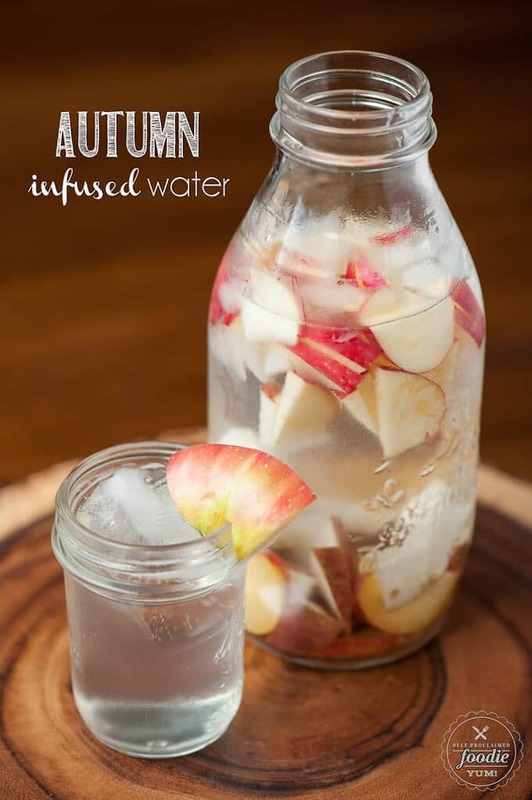 Now that you have some ideas of what you can use in your next batch of infused water, you’re all set to get started. Pick a recipe – or open your fridge and get creative with what you already have. 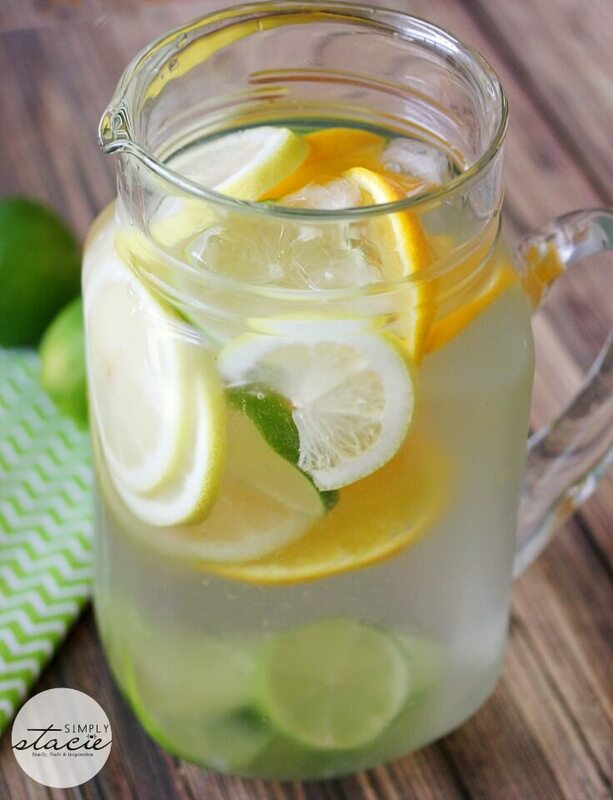 Making your own flavorful infused water is simple, and it’s a great way to get into the habit of good hydration. If you’re looking for even more from your beverages – like a whole meal – smoothies can be a terrific option. But how do you know if your smoothie is the perfect mix of nutrients to fuel your body without causing a sugar crash an hour later? It takes the right layering of ingredients. 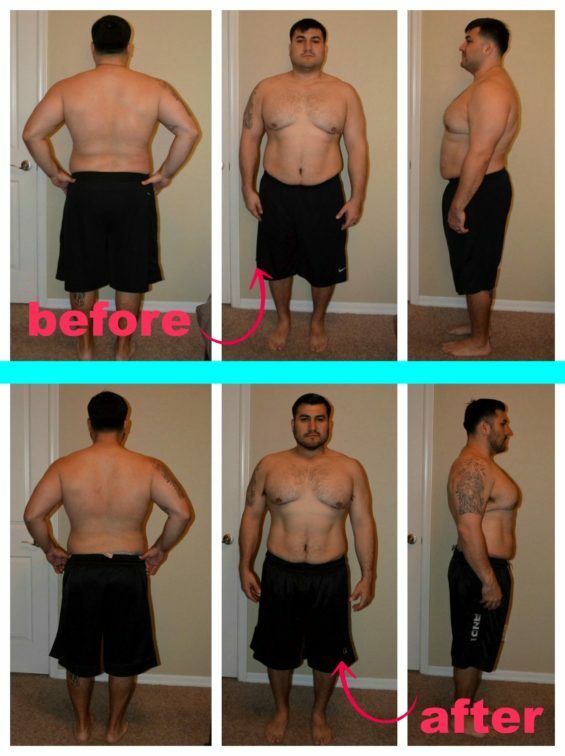 I’ve created a guide to help you! Download my FREE 1-Page How to Make a Perfect Green Smoothie printable! Just click the image below to grab your copy now.